Denim jacket and pants | That Belongs in a Museum! Mine is too big to put on this pedestal, not just physically, but mentally, figuratively, it’s big. We’re not done yet. 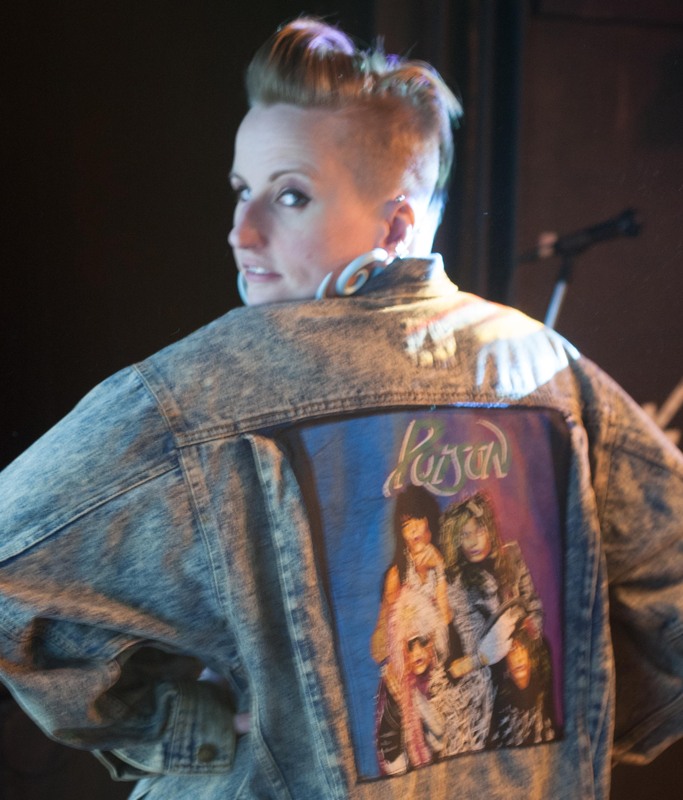 Now, this was my jean jacket in junior high-high school. I put on the studs. […] My mother, being the wonderful mother that she is, sewed that onto the jean jacket for me. […] This was a labor of love. I thank you for visiting my childhood.